The Minister of Transportation, Mr Rotimi Amaechi on Thursday said that the Warri-Itakpe Standard Gauge line was ready for passenger, commercial and freight services. Amaechi disclosed this while supervising the nearly completed standard guage rail project across the three states involved on Thursday. The train corridors involved Itakpe in Kogi, Aghenebode in Edo and Agbhor in Delta with 12 railway stations along the corridors. 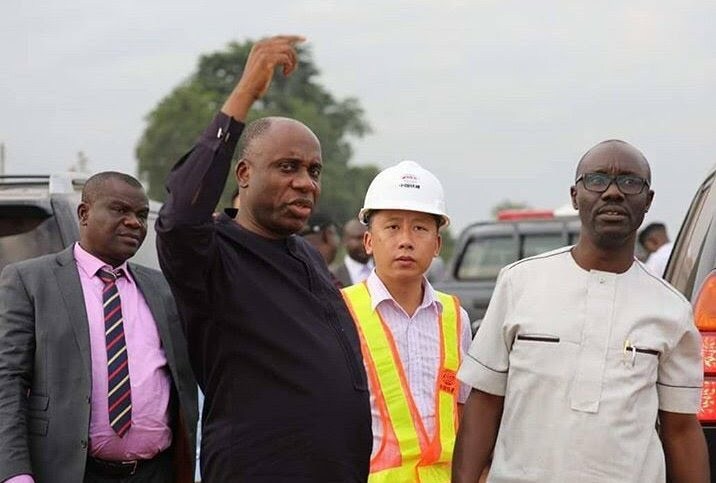 Amaechi, while commenting on the level of work done said that the Itakpe to Abuja axis would cost the government $3 billion. “The train is now available for commercial activities and we believe the passengers and companies on iron ore will patronise the services. “We have 12 stations from Itakpe to Warrior where work is ongoing but mostly all of them are nearly completed for easy access to the train services in the 316 km journey. “The Itakpe-Abuja corridor will cost the Federal Government three billion dollars with Seaport in Warri. “The government has said it has the plan to connect the whole country by train, so we are doing it gradually; very soon all the states will be connected,” the minister said. The railway stations include, Ujevwu, Agbhor, Itakpe, Eganyi, Adogo, Ajaokuta, Itogbo Aghenebode, Ehkehen, Igbanke Abraka, and Okpara involving the three states.